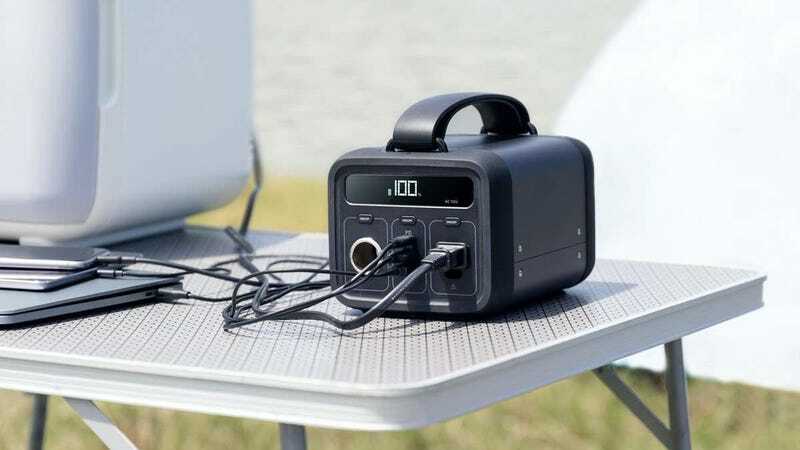 Anker’s newer, smaller Powerhouse 200 portable battery could be perfect for your upcoming spring camping trips, picnics, barbecues, and anything else outdoors, and you can get it for $50 off today with promo code ANKERPW7. At six pounds, compared to the original’s nine, I could definitely see packing the Powerhouse 200 for an extended camping trip, something that you couldn’t realistically say about the old model. The tradeoff, though, is that its battery is only half as large, meaning it’ll only power your USB and AC-powered electronics for half as long. Even so, Anker claims it can run a mini-fridge for about four hours, and recharge a MacBook Pro five times over, so we’re still not talking about a small battery here. The Powerhouse 200 launched at $400 in February, and is currently marked down to $350, making today’s additional $50 promo code discount the best deal we’ve ever seen. Here&apos;s the Best USB-C Hub Deal...Ever?